Patna will soon have 30 electric buses under the Smart City plan. This will not only help in decreasing the pollution, but will also lead to the solution of traffic problem in the city. The State Government has already forwarded the proposal to the Union Transport Ministry for approval. Each bus is going to cost over Rs 1 crore.“Electric buses are comparatively more expensive than a CNG bus, which costs around Rs 85 lakh. However, the operational and maintenance cost of an electric bus is much lower than a CNG bus. 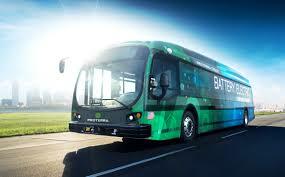 If Patna gets the approval to run electric buses, it will join the ranks of Los Angeles, Toronto, Chicago and New York which use electric buses as public transport. If electric buses become the norm, they will also reduce the demand for diesel fuel,” an official said. These buses will be run under the Smart Mobility plan. More than 1,000 cameras will be installed throughout the city. A command and control system centre will also be set up to manage the CCTV cameras.